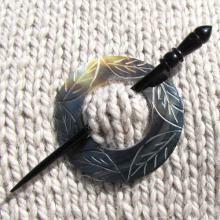 We carry a great selection of shawl and scarf pins made from several types of wood, bone and shell. They come in beautiful shapes, and are now displayed so you can easily choose from our complete collection. 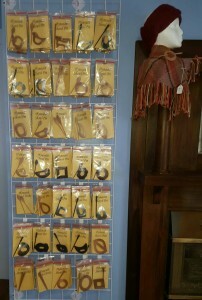 As part of the yarn shop remodel, we have dedicated a space to the shawl pins and sticks. We invite you to come by and see them, or to take a look at them all online. 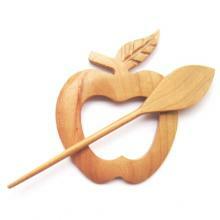 Don’t have a shawl to show off these lovely pins? Then join us this year for one of our weaving seminars and create your own beautiful shawl.